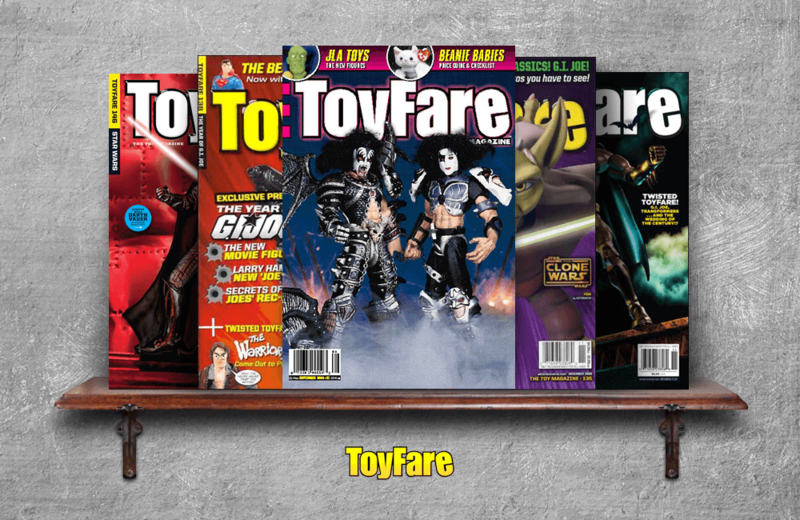 Published from 1997 – 2011, ToyFare magazine was not your usual toy industry publication. While the magazine did offer news, reviews, and pricing information about toy figures, readers would also find cheekily-written horoscopes and Twisted ToyFare Theatre – a Fumetti-style comic strip – to entertain them each month. The demise of ToyFare in 2011 is still lamented by fans. Not only was the magazine a fantastic resource, ToyFare was one of the few publications to feature exclusive mail-away offers for unique figures such as Superman as Shazam, Emerald Shield Green Lantern, and Boxing Homer. All is not lost. Fans can still get their dose of ToyFare-style humour today. Some of the ToyFare staff went on to create Robot Chicken with Seth Green and issues of the magazine can be found online at eBay.